Disney Minnie Jet Set Fold N' Go Chair Just $11.44! Down From $20! PLUS FREE Shipping! You are here: Home / Great Deals / Amazon Deals / Disney Minnie Jet Set Fold N’ Go Chair Just $11.44! Down From $20! PLUS FREE Shipping! Disney Minnie Jet Set Fold N’ Go Chair Just $11.44! Down From $20! PLUS FREE Shipping! For Prime Members only! You can get Disney Minnie Jet Set Fold N’ Go Chair at Amazon for just $11.44 down from $19.99 PLUS FREE shipping! This chair has colorful character graphics and great for indoors or outdoors. It’s made with sturdy metal tubular construction. Folds for easy storage & comes with its own carry bag. Each chair has a safety locking mechanism. Makes a great gift this Christmas! 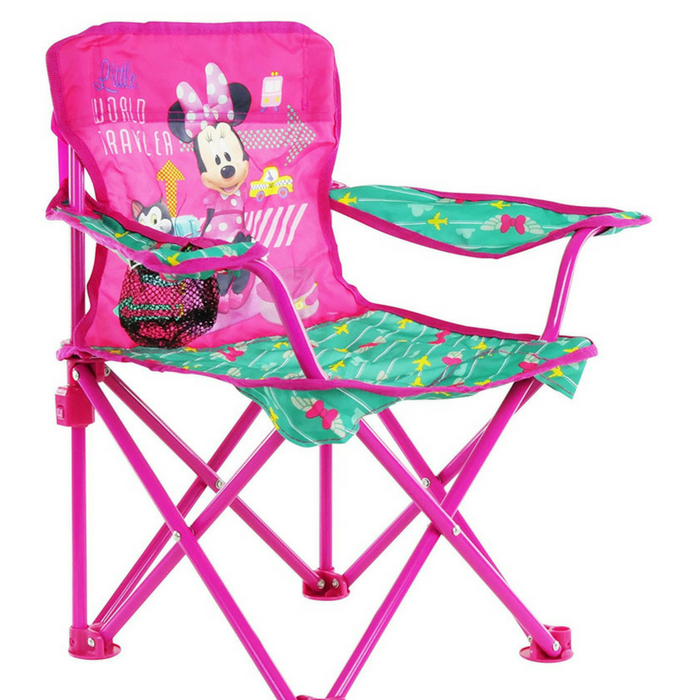 The Minnie Mouse Jet Setter Fold N’ Go Chair has colorful character graphics and is great for indoors or outdoors.